I have to confess. I love shopping for gifts for family and friends. 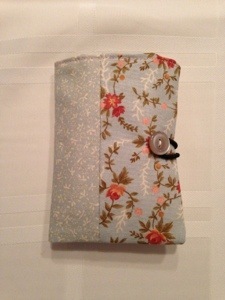 I also love making handmade gifts and try to mix in both special items purchased and custom items I made for them. This is the first year in a decade that I didn’t gift any handmade quilts. 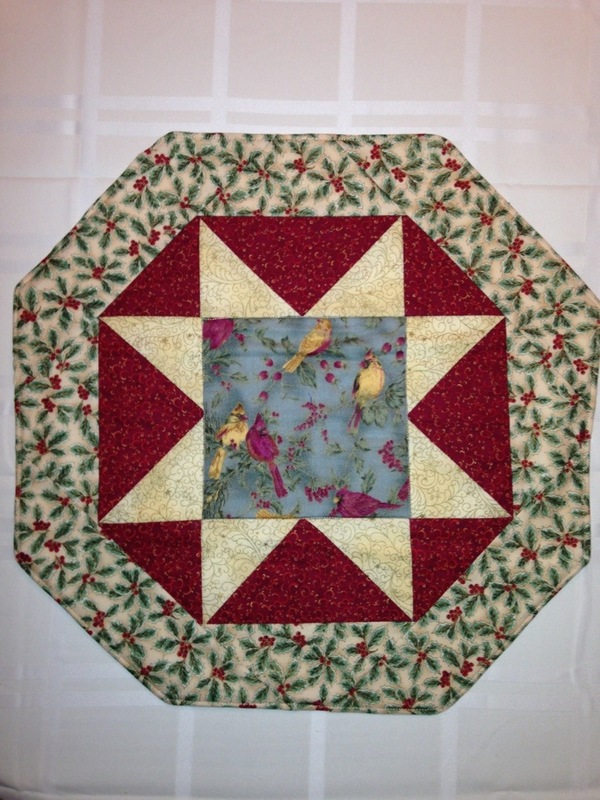 But, I did manage to make a few things and will get more quilts done this year. First up, my mother in law. 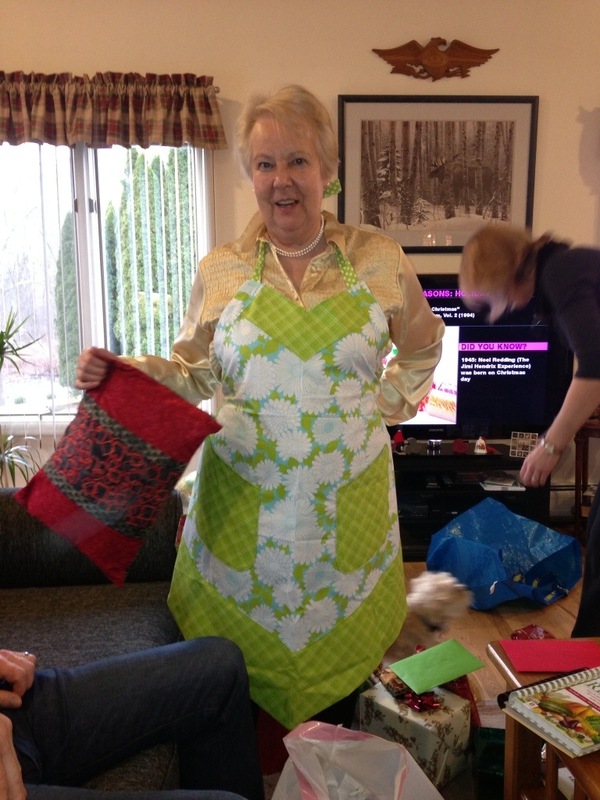 She was helping with final dinner prep at our house on thanksgiving and said she needed a new apron. So, here it is. A fun and cheerful palette with flowers, plaid and polka dots. I ordered the fabric from Fat Quarter Shop thinking I’d make some summer table runners, but it made a nice apron. 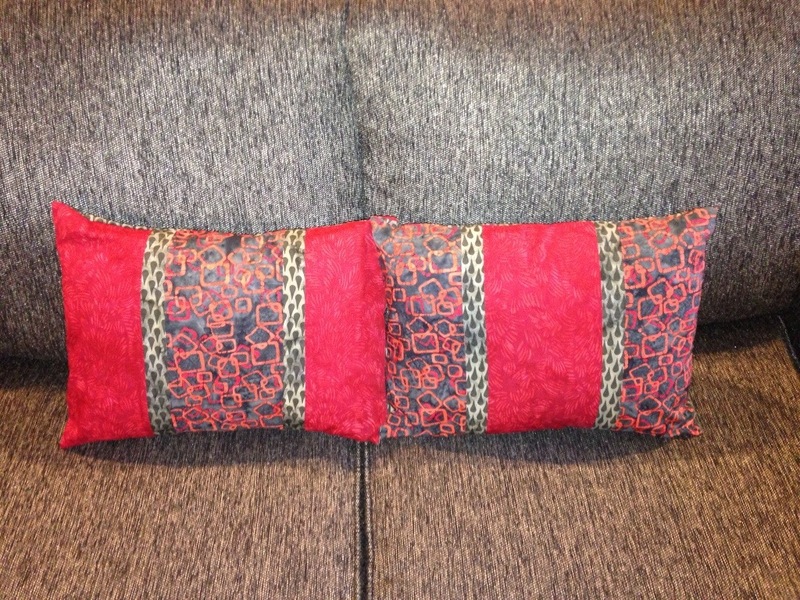 She also asked me to make a few custom pillows for her that she was going to pay for. As if. She wanted red and grey but picked a fabric from my stash that had brown undertones. So, I found these awesome batiks at The City Quilter and they worked out great. They really pop on their new dark grey sofa. Plus I bought some extra fabric and am going to make some for my etsy shop. My mom also got in on the handsewn Christmas action. I had made her a table topper a few years ago, but she misplaced it. So Santa brought her a new one. The blue bird fabric worked perfectly to tie the blue of her living room to a Christmas palette. 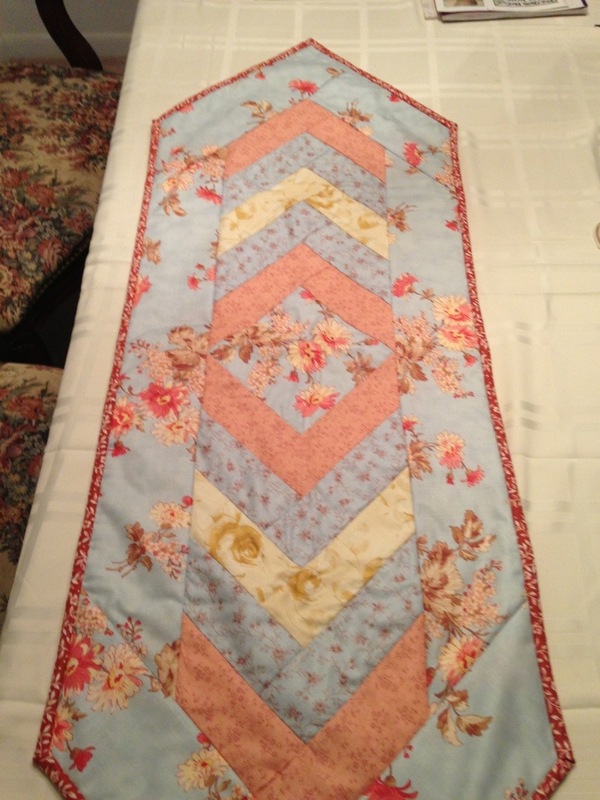 I also made Mom a blue and mauve table runner. I love the focus fabric which is from Lario by Three Sisters, also purchased at City Quilter and available at my favorite online shop, Fat Quarter Shop. She loves it and will use it all year long. Which is a good thing since the last one I made her was blue and yellow but her room is blue and mauve. My bad. 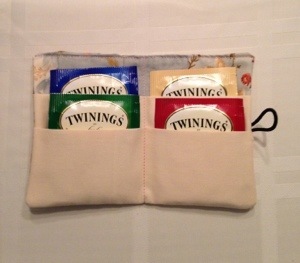 Mom also got something handmade in her stocking, a tea wallet. You could use it for credit cards or business cards, but it works great to keep your favorite tea varieties handy wherever you go. Mom will use it for decaf coffee though. A few others got these too, fully stocked with a variety of teas. 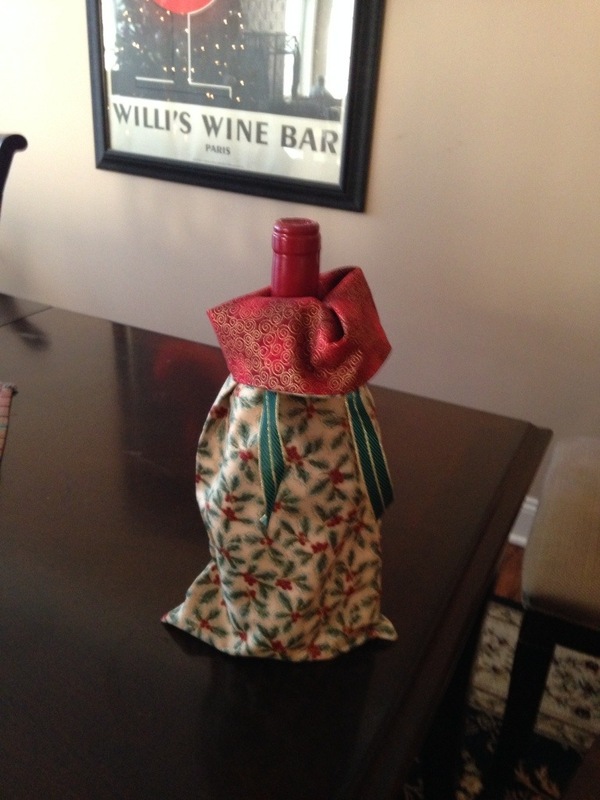 I also made a bunch of wine sleeves for bottles of wine that I gifted. This one included a nice chianti for a neighbor. 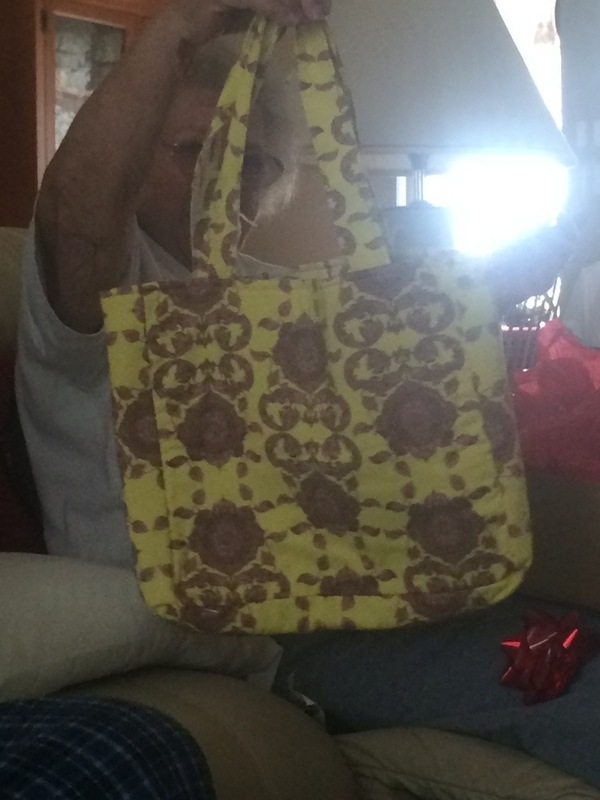 And, lastly, my daughter’s other grandma got a handmade tote bag. She likes bright colors and I think she’ll like the yellow and tan. I love the tea wallet! I also love the tea wallet…..and the table topper for your mother. I love the fabrics in both. The cushions are very smart too.